Oh Hey There! 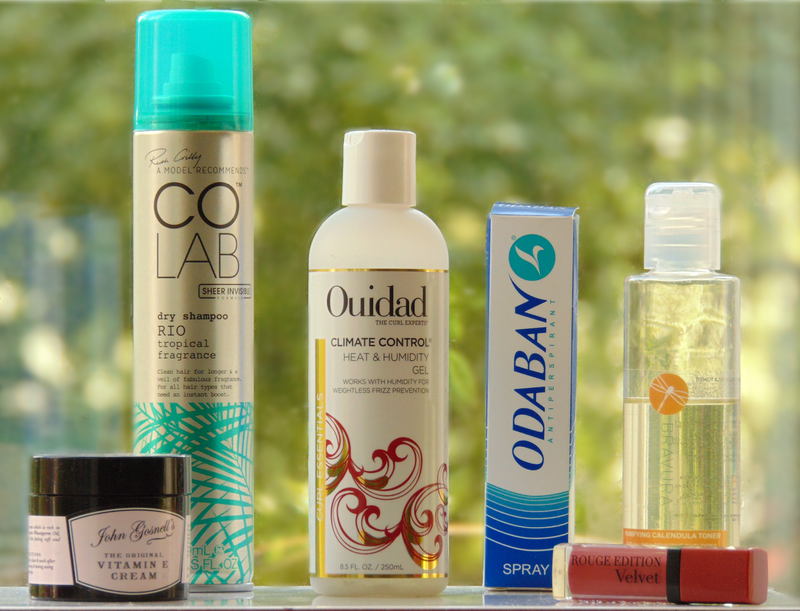 : July Favourites! Left to Right: John Gosnells Vitamin E Cream, CoLab Dry Shampoo in the Scent Rio, Ouidad Climate Control Heat & Humidity Gel, Odoban Antiperspirant, Bravura Purifying Calendula Toner, Bourjois Rouge Edition Velvet in the Shade Beau Brun. Another month has come and gone, yet again too quickly, meaning it is time I frantically scramble together my monthly favourites! This month I don't have a lot of favourites but I am really happy with the ones that I do have and although its a bit of a mix all of them have become staples! My hair has been a little out of control the past few months, flat and built up one minute, frizzy and dry the next. It's this bloody weather! So I thought there couldn't be a better time to try out the Ouidad Climate Control Heat and Humidity Gel. 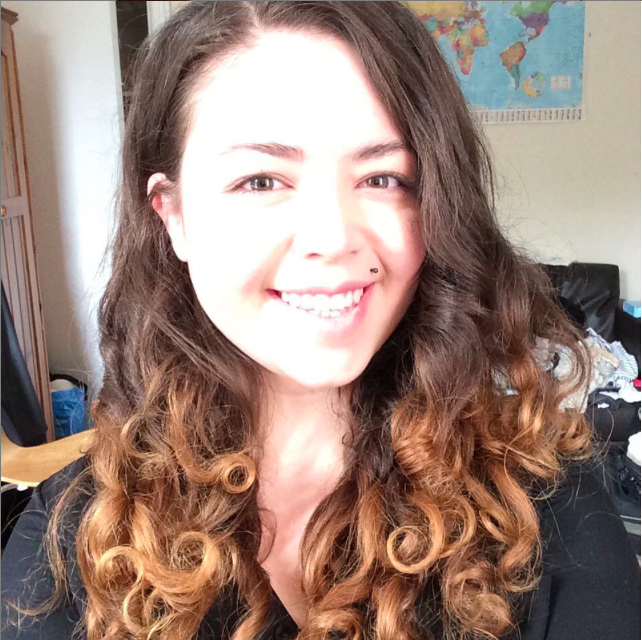 It gives me really defined, soft curls and my hair really seems to like it. Although a little pricey, it does last a long time and keeps my curls in tact for days and really calms/controls frizz! To keep my hair refreshed I have been using the Co Lab Dry Shampoo by Ruth Crilly from A Model Recommends in the Scent Rio. It's just a great dry shampoo, always leaves my hair feeling refreshed and adds a little extra volume in all the right places. Its also basically unnoticeable to the touch and feel in hair. Perfect! My favourite favourite this month is a little less glamourous than the rest. Its a product called Odoban, which is basically a very strong anti-perspirant. If you suffer from excess sweating you will understand how much of an affect it can have on your life. As well as being rather embarrassing (which it shouldn't have to be!) it is also very uncomfortable. Applied nightly it is designed to work on a longer term basis. It has made such a difference and had I heard of it sooner it would have saved me years of angst! It can be used multiple areas of the body including the face. I haven't really been wearing a lot of makeup this month but when I have, I have found myself reaching for the Bourjois Rouge Edition Velvet in Beau Brun. The Bourjois Rouge Edition Velvets have been one of my favourite lip products of the past few years and as I go on about them a lot I will just say they are amazing! The reason I have been loving this shade so much is that it I have found it really makes green/grey/hazel eyes stand out. It is quite dark with undertones of a peachy browny shade but really build able and using just a tiny amount can look really subtle but still add a pop of colour! Skincare has been a difficult one this month. Mine has become very dry, which is unusual for me, meaning I was completely unprepared! The John Gosnell's Vitamin E Cream is a product that I have found myself continually reaching for this month. Its super moisturising but it sinks into my skin really quickly so it doesn't leave a layer sitting on my skin, which can cause it to breakout like some moisturisers. Another product that has been helping me this month is another old favourite. Often referred to as a "Pixi Glow Tonic Dupe' the Bravura Calendula Purifying Toner is a gentle, acid toner containing both glycolic and lactic acids and is great for all 'non sensitive' skin types. It smells amazing, which for a toner I find rare and I always find it leaves me skin feeling really refreshed/ clean but not stripped/dry. Do you have any favourites for July? The Bourjois Lip product looks really interesting - I love bourjois makeup so I might have to give it a try! Its really pretty! The Rouge Edition Velvets are my favourite lip product of the past few years!